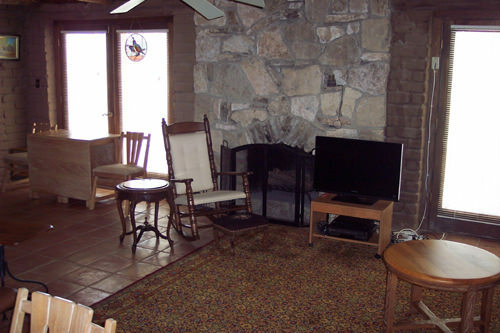 The L – X Ranch offers a rural ranch lifestyle while being just minutes from the conveniences of city life. The ranch is situated adjacent to State Highway 246, which is a paved two-lane highway. The headquarters is tucked away and not visible from the highway. 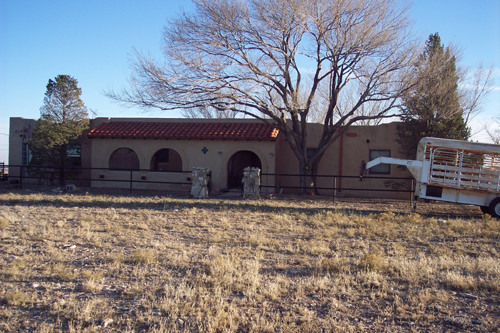 Access to the headquarters is private, gated and locked just ten minutes from downtown Roswell, New Mexico. Roswell is a community of approximately 50,000 people that offers amenities and services to include commercial airline travel. 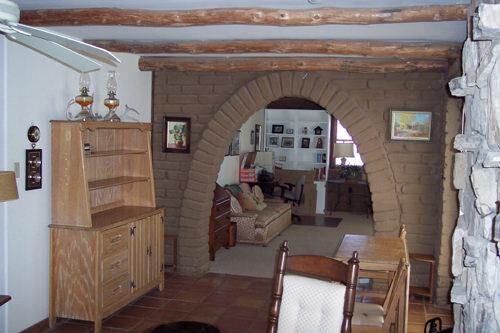 The main residence is an adobe constructed Spanish Style residence with abundant character and charm. The interior, containing in excess of 2,400 square feet of living space, is comprised of three bedrooms, three baths, kitchen, den, office and an unfinished basement. The interior floors are mostly tile. The outside main entry of the residence is enclosed into a small courtyard complete with a running water fountain and fishpond complete with lily pads. 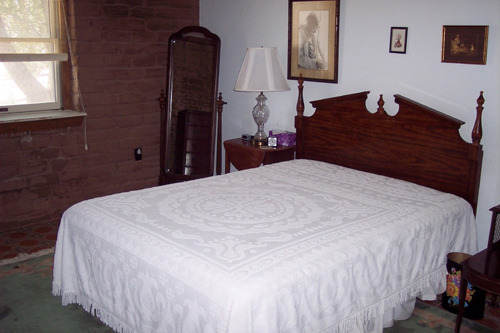 The bedrooms and den have access to an exterior deck to enjoy the fabulous New Mexico sunrises and sunsets. Additional improvements located near the residence, include a horse barn with enclosed stalls along with hay and feed storage, an equipment storage shed and an enclosed dog kennel. 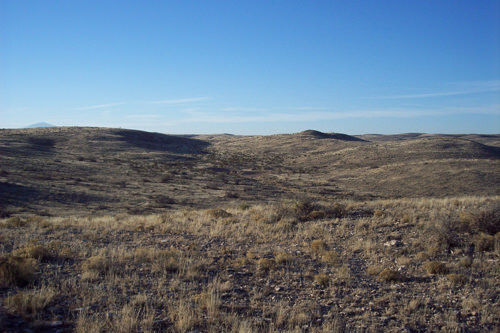 The land status of the ranch is comprised of 845 +/- Deeded Acres, 771 New Mexico State Lease Acres and 2,152 Federal BLM Lease Acres for a total of 3,761 Acres (5.88 Sections). 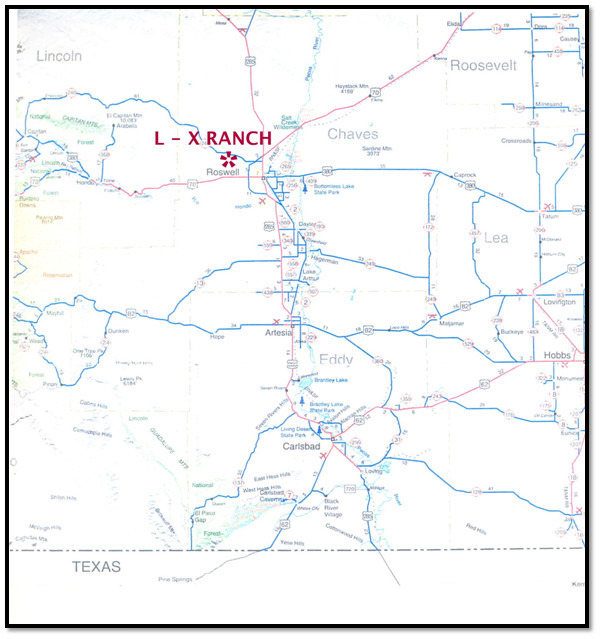 The L – X Ranch is designed as a highly functioning cattle ranch. 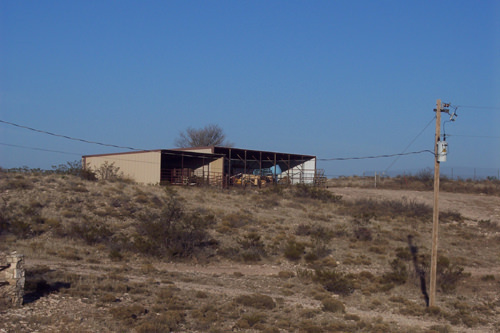 The ranch is boundary and partition fenced into six pastures ranging in size from 300 acres to 1,530 acres. 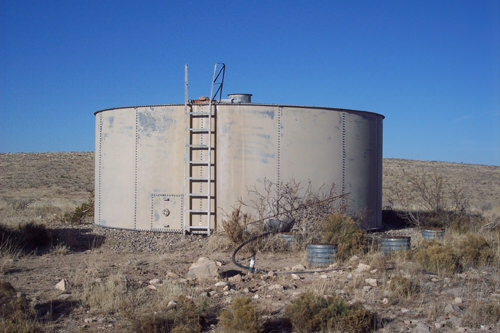 Livestock and domestic water for the ranch is provided by one well along with an extensive water pipeline system. 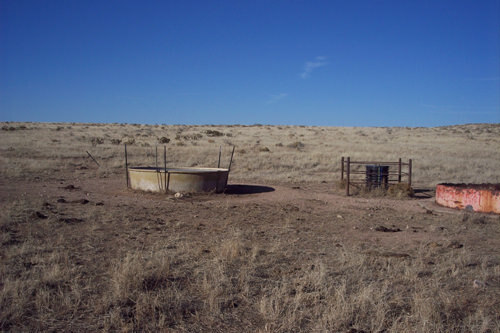 The water system supplies water to all pastures for livestock and wildlife consumption. The pipeline is 1¼ inch thick wall black plastic pipe that is buried. The system is efficient and easy to operate. 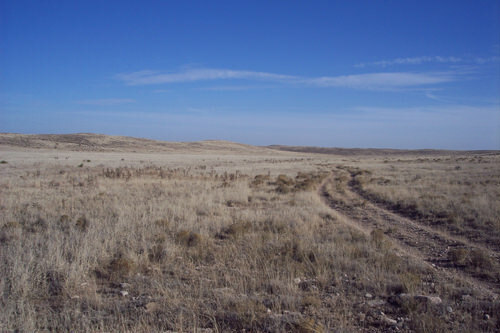 The terrain and vegetation of the ranch is described as grassland with limestone hills and draws. 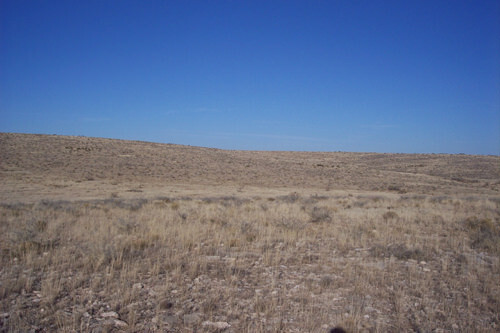 The primary grasses include several species of grama grass to include blue grama and sideoats grama along with tobosa grass, vine mesquite and three awns. 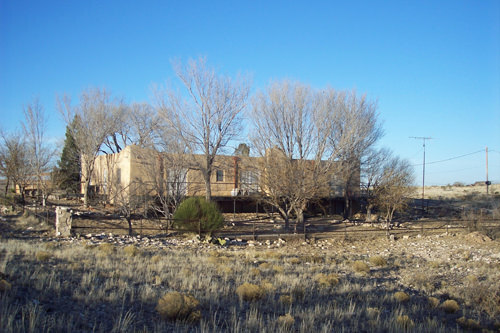 The ranch operates in conjunction with one New Mexico State Agricultural Lease that is renewed every five years. The lease fee is formula based that can fluctuate from time to time. 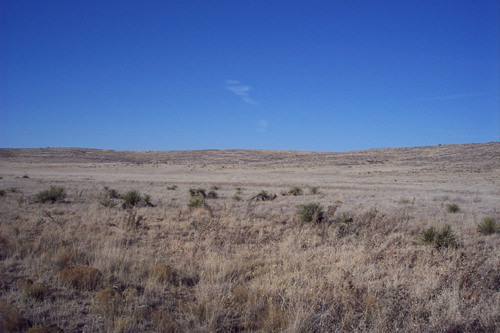 Typically the lease fee for the State Land is approximately $.85 per acre. The lease is paid on an annual basis. 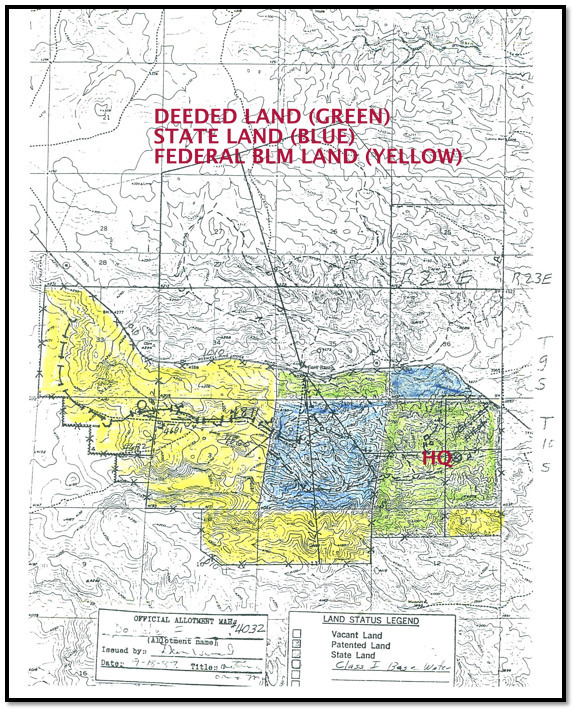 The majority of the acreage within the ranch is classified as Federal Lease land, which is administered by the Department of Interior’s Bureau of Land Management. The BLM’s local District Office is located in Roswell. The lease fee for the federal acreage is also formula based calculated on an animal unit month basis. 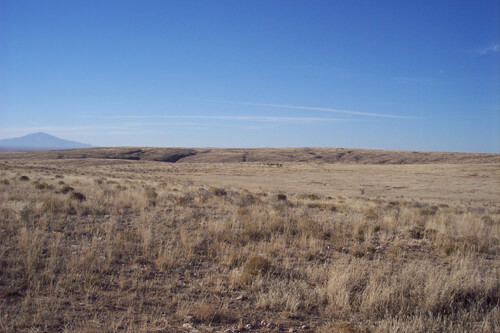 The ranch operates under a Section 3 Grazing Permit that sets the grazing capacity of the entire ranch to include the private and state lease land, which is comingled throughout the ranch. The current BLM grazing permit allows for 63 animal units on a yearlong basis. The BLM permit is generally for a ten-year term. 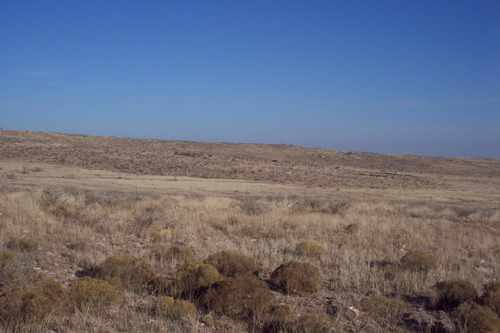 The lease is paid on an annual basis at the beginning of the BLM grazing season that begins March 1 of each year. The current grazing fee is based on $1.85 per animal unit month and estimated annually at approximately $800.00. The property taxes assessed by the Chaves County Assessor are reasonable at not detrimental to property ownership. 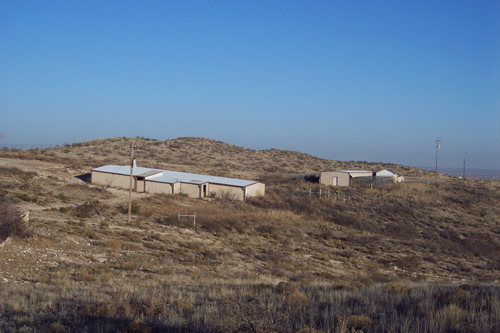 The property taxes assessed in 2016 for the L – X Ranch are $943.16 to include the land and improvements. 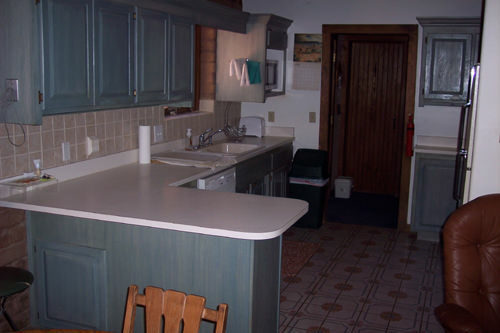 This is a unique opportunity to live the rural western ranch life-style just minutes from downtown. 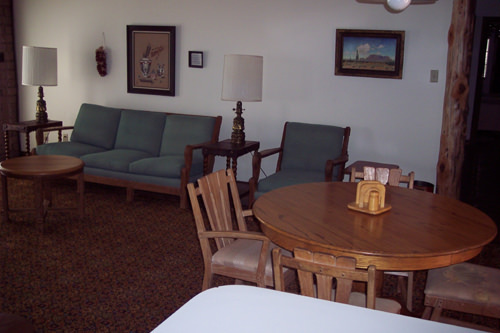 The ranch is improved with a comfortable home with all the amenities. 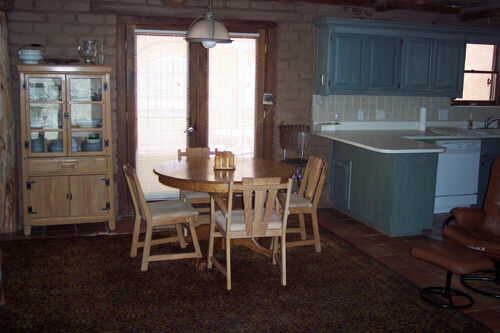 The ranch pastures are all easily accessible by vehicle, all terrain vehicle, or horseback. The pasture design lends itself to multiple possible rest-rotation programs utilizing the abundant native grassland. There are very few like this one around.